"I Don't Play and I Don't Puuunnnnnk"
Death Warrant is classic 90's Van Damme. 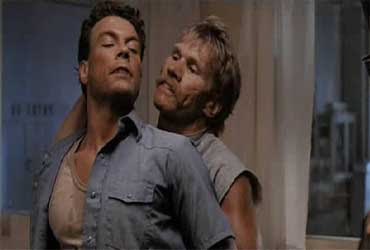 This time around, Louis Burke (Van Damme) is a policeman who goes undercover in a jail to investigate a murder. While inside, he realizes there's not just murder, but corruption. Now he has to high kick and low split his way to justice. 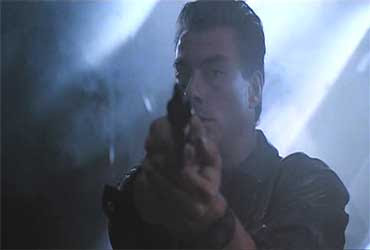 After the weak Lionheart (1990), Van Damme realized that he should take a break from the Kumites, and the Underground Brawls and focus his efforts into a making a fun action pic. The final fight had all the ingredients for the usual Van Climax: Swift, brutal kicks to the face and an action hero trademark, an impaling. 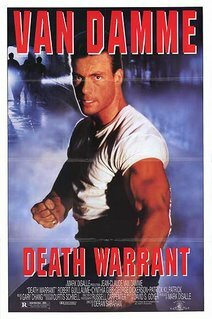 Death Warrant is an undisputed Couch Potato Classic, or CPC for short.